The ZYG 808 looking forward to a career in the music business. In the movie "Get On Up" James Brown explains that there are two parts to Show Business: there is the show and there is the business. While most high schoolers are hip-hop fans, exchanging youtube and soundcloud links of their favorite artists; and some are in their bedrooms making songs over downloaded beats and posting them on sites for their friends to hear. But how many high school freshmen and sophomores are creating labels, researching radio stations and podcasts to submit their music to, and figuring out their promo budgets? You can imagine that the list shortens significantly. 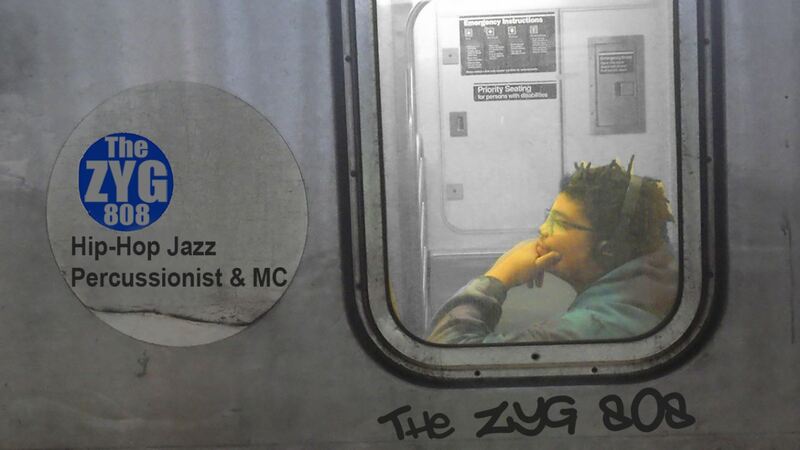 Originally entering Hip-Hop as a member of the Soundcloud mixtape group TMK (True Music Kings) before the operation relocated to California, The ZYG 808 decided to branch out on his own as a Boom Bap styled artist. Joining his father's company, Liberation Multimedia, LLC was a natural step towards reaching his goal. However, while the 29 year-old company has won and been nominated for numerous awards in jazz, r&b, and EDM for it's recordings over the years, Hip-Hop remained an untapped market, with the exception of a few boutique re-mixes for other companies. In true business fashion, The ZYG 808 had a breakfast meeting with his father proposing to launch his own imprint to focus on hip-hop and club music, with it's own identity. With that, the Soul Poets Records imprint was born as a sub division of LM3 and The ZYG 808 went from being an artist to a partner in his own label.